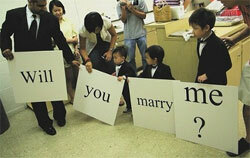 Even today, it is the man who often proposes. So how is this done? All articles say to keep her in mind. You know her, right? What does she like? Think about how, when, and where, and check out your approach. Make it personal via the right location (such as first date restaurant), significant day or date, favorite flower or special song. Think of your time together and select something meaningful for the two of you. Another site with fun information is http://www.engagementexperts.com/. Scan the web, jot down ideas you feel most comfortable with, move ahead with a proposal for a lifetime.